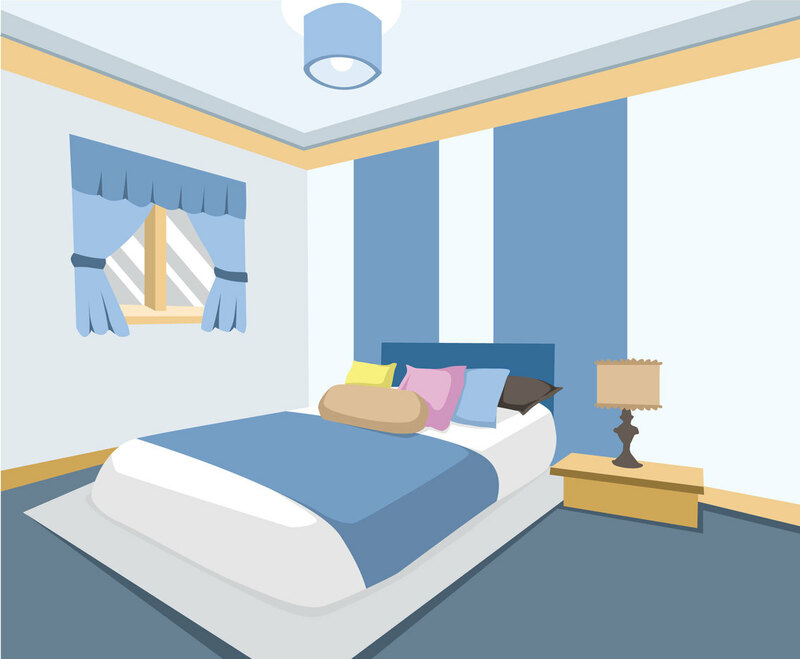 This vector bedroom set is illustrated in perspective view. You can directly use it as part of architectural presentation or edit the file. The set includes the bedroom with a few pillows and a bolster, the bed with duvet, a bedroom window with curtain, and a bedside table to put the lamp.